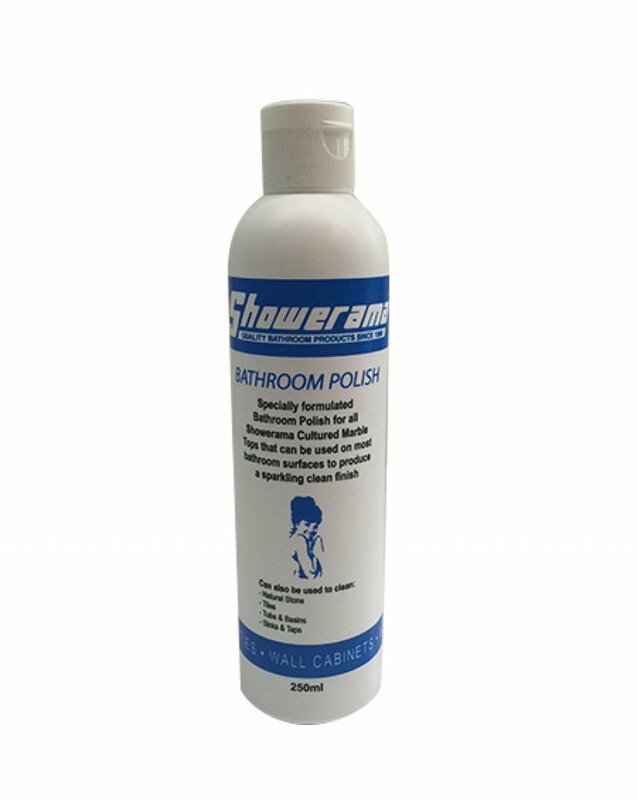 Showerama’s Bathroom Polish has been specially made for use on Polymarble vanity tops, acrylic, ceramic, fibreglass, mirrors, aluminium and all water resistant bathroom surfaces. Especially recommended for showerscreens and vanities. 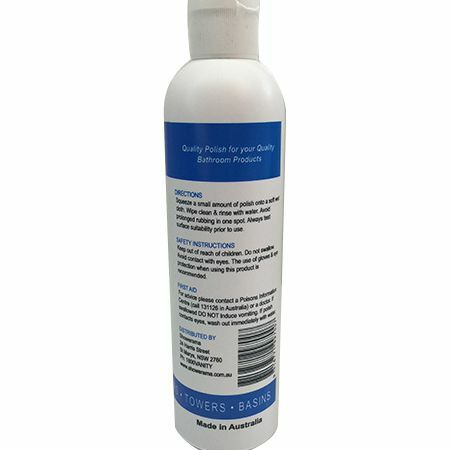 A fantastic product to produce a sparkling clean gloss finish on all bathroom surfaces, and for the effective removal of light scratches. 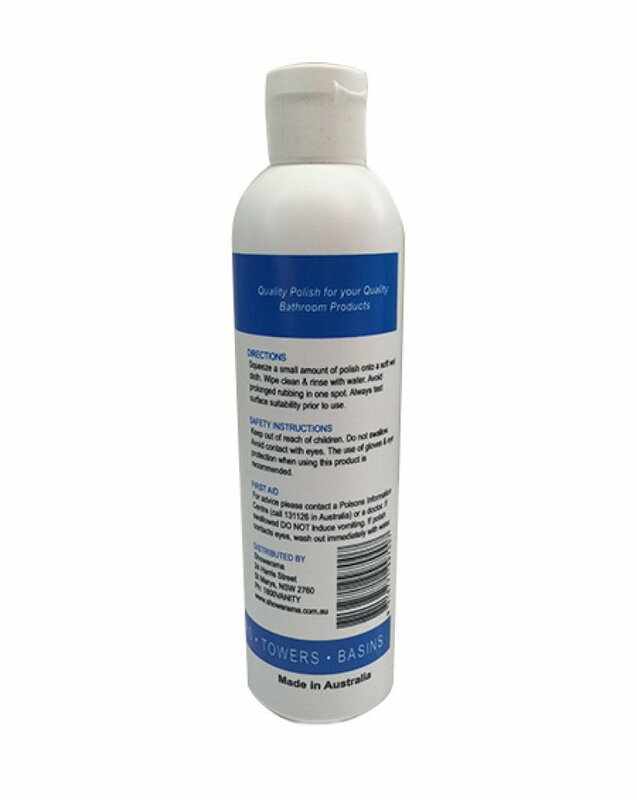 Showerama’s bathroom polish is manufactured in Australia.